Hello, everyone. Sorry to bother you with more armor auction in a short period. But this idea bother me for too long. when I design a previous armor. I kinda design this as well and keep it in my mind. I wish that you interesting in another power armor of mine. Don't worry. This time it will less expensive than the previous armor. Bird Frame Armor : Come here, little one? Do you want to fly? I can grand you that wish. Wear me and let's fly together. I would love to see more armor like this. 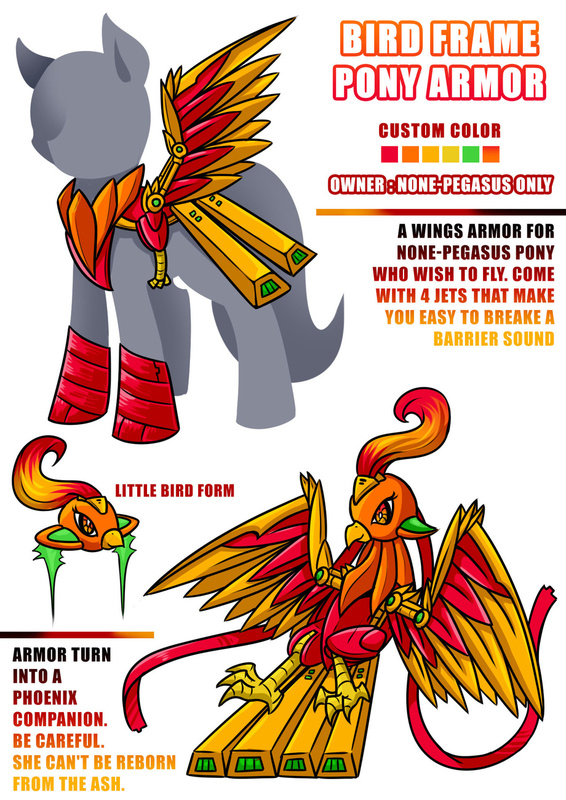 I'm actually working on a story base on Fallout Equestria and would love to see more concepts for power armor. I would join as a patron, but I have no income.